Experience an 18th Century encampment of historical reenactors representing British, French, and Americans. Visit and tour military camps and shop at historical vendors from 9 am – 6 pm on Saturday and from 9 am – 4 pm on Sunday. 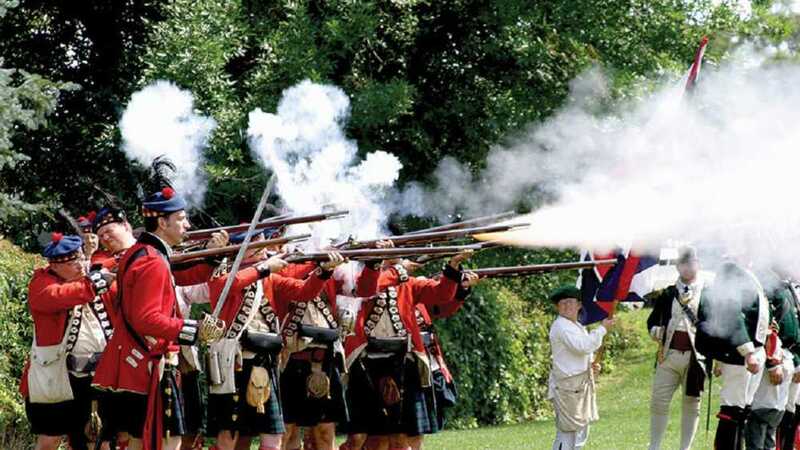 Tactical Battle Reenactments, Flag Raising, Musket Firing, Period Concert & Games, Fashion Show and many other events. Free Family Event!